All my past and current critique partners (especially Diana DeBolt Johnson!). This includes anyone who has ever glanced at a few pitches/pages/chapters and offered feedback. 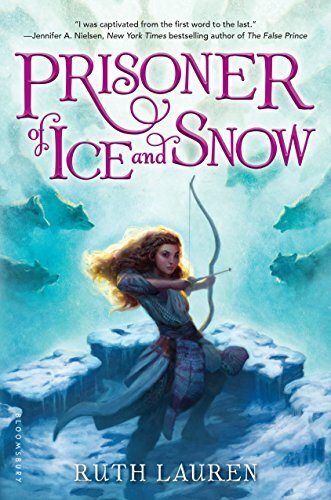 Prisoner of Ice and Snow by Ruth Lauren is available for preorder and will be released by Bloomsbury Children’s Books USA on April 4, 2017. And yay, I received an ARC for my honest opinion. First, check out the cover! Who doesn’t like a strong female character holding a bow-and-arrow? My mind instantly went to the success of Katniss Everdeen. And when I learned that this young female character named Valor intentionally got herself thrown into prison, I was like “What? 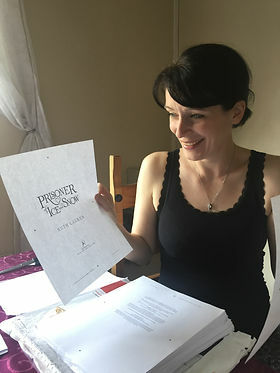 Who does that?” and HAD to read the story to see how she conducted herself within the prison walls. I’ve been told that I should occasionally write a post about myself. So I’ll start giving updates on what I’m doing or what I’ve done. Late last year, I got a promotion with my day job (working as an ASM for a fortune 500 country). This is great except I now work 50-60 hours per week, which really cuts into my writing time. So, on my days off I binge write blog posts to schedule (including this one). Then because I’m a glutton for punishment, I decided to finish my degree and signed up for classes. This semester I’m taking THREE! But I will finally be finished with my degree in May. Woot! So, when do I have time to write? I MAKE TIME! (Even if just a little each day. Refer to an earlier post I wrote.) I recently started a middle grade novel with sort of a Hobbit-ish feel (which I’m really excited about). And for those who knew about my last novel THIS SCARY MANOR BLOWS being in the hands of agents, yes it is still with a few. Waiting can be so difficult. The best cure is to write something new and forget about the old. Speaking of new, I’m up to 106 book ideas that I’ve made notes on (or started in some way). Since I might not be able to write all of them in this lifetime, I’ll need to reincarnate myself. Just sayin’. That’s all for now. There be more from me later.